Hello from the Peruvian Amazon! ARCAmazon is looking for volunteers and interns to assist us with researching terrestrial and arboreal wildlife at our remote site in the primary rainforests of the Peruvian Amazon. Volunteers and interns will support the vital work of our busy Camera Trapping team based at the *Las Piedras Amazon Center (LPAC)*. Our task is to better understand the current status–and assist with conserving–the vast abundance and diversity of wildlife found in the *Las Piedras Watershed*. Research undertaken with camera traps helps us create conservation strategies for ARCAmazon and its partners during our quest to establish a 50,000-hectare Las Piedras Conservation Corridor. Our programs include Forest Rangers, Green Living, Primate Conservation and Camera Trapping and Tree Climbing. ARCAmazon’s Forest Rangers are essential to the protection of the forest. They play a vital role in maintaining a presence on the Las Piedras Amazon Center‘s 4,460 hectare reserve. The presence of official representatives on the land helps prevent incursion of illicit activities such as timber extraction and hunting. Our Forest Rangers provide an on-going supply of research data which helps ARCAmazon identify where threats may occur and what activities are being carried out on the land. In addition, they contribute to the long-term collection of core data sets for mammals, birds and herpetofauna. They are responsible for maintaining an extensive trail network and ensuring all signage is maintained. Finally, the Forest Rangers are in part responsible for relations between ARCAmazon and its neighboring communities and forest users. Volunteers will assist the rangers with day-to-day data collection, input and analysis; monitor the status of the concession and its wildlife; and help ensure the work is reported back to the organization’s management, stakeholders and supporters. Our goal at the Las Piedras Amazon Center is to demonstrate sustainable living through green infrastructure and energy, local food sourcing, permaculture, reduction of waste and best practice for forest use. Buildings at the center are created using majority locally-sourced materials such as timber, earth, bamboo and cane. We use a mix of local and foreign expertise to ensure buildings can withstand the heavy rains and high humidity of the jungle, while keeping up with new (and ancient) techniques that reduce impact on the environment. Working with our local teams and natural building expert, Whitey Flagg, participants on Amazon Academy‘s Green Living, Natural Building and Permaculture Program have an opportunity to co-create the very living space from which teams will continue to advance conservation and community outreach efforts in Las Piedras. Participants will help demonstrate the techniques and importance of natural building, permaculture and responsible living to hundreds of visitors each year, as well as set an example for local communities who are encouraged to take part in the program. Participants may also have the chance to work in the nearby community of Lucerna to co-develop community-specific green living projects. Participants will learn about living responsibly in the rainforest, have the opportunity to go into the forest with research teams, visit communities and experience one of the most spectacular ecosystems on Earth. Volunteers and interns will support the vital work of our Primate Conservation Research Team, based in a remote watershed in the south eastern corner of Peru, near the border with Bolivia and Brazil. Our task is to better understand the current status–and assist with conserving–the endangered Peruvian black spider monkey (Ateles chamek) and at least 8 other species of monkey found in the local area. Research undertaken by the team helps us determine strategies for local conservationists in their quest to create a Biodiversity Corridor in an important river system, which is at risk from illegal logging, gold mining and slash-and-burn deforestation for unsustainable agriculture. The Camera Trapping Team works in small groups to set up, revise and analyze camera trap footage for both terrestrial and arboreal studies. For the first terrestrial study, we focus on population densities of ocelots (Leopardus pardalis) and their main prey at various points around the concession. We change the location of the camera traps once a month to gain a better understanding of ocelots’ use of the rainforest and their ranges. For the second project, we move and install fixed camera traps in the canopy using climbing gear to access the crowns of the trees. This study is to observe the general population of arboreal mammals since the use of camera traps in the canopy is a relatively new study method. The benefits of placing camera traps in the canopy are similar to placing them on the ground – to see mammals that are active at night and those that are difficult to find due to their elusive nature. The team also focuses on identifying rare species as well as studying the distribution of mammals recently identified. During a volunteer’s first week, they will be trained in safety protocol, camera trap use, canopy tree climbing and any other pertinent information for the field. The main focus of this study is camera trapping but other activities include: mammal walks during the early morning, afternoon, or night, tree climbing (up to 40m) and wildlife observation from the canopy. Plum Island Ecosystems Long-Term Ecological Research (PIE-LTER) project. are expected to spend up to two weeks a month the field station. Experience with small boats and trailing boats is desirable. and walking significant distances across salt marshes. 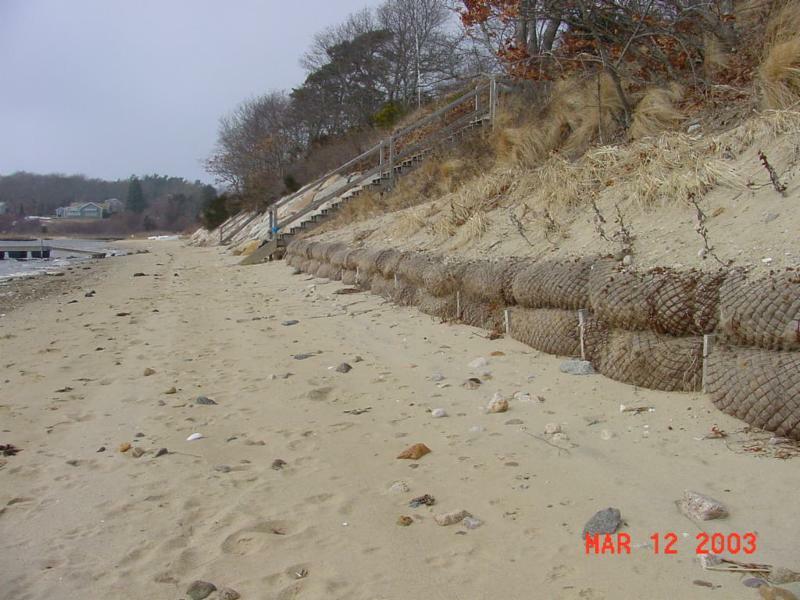 The Massachusetts Office of Coastal Zone Management (CZM) is working with the Waquoit Bay National Estuarine Research Reserve and other partners in New England to expand implementation of green infrastructure and living shoreline approaches to increase coastal resilience to erosion, flooding, and storm impacts. Waquoit Bay Reserve seeks an intern with strong writing and organizational skills to support community outreach efforts. Assist with planning and hosting workshops for local officials and consultants on living shoreline best practices and regulatory considerations. This intern project supports a Northeast regional coastal resilience project by the National Oceanic and Atmospheric Administration. Staff will supervise the intern and ensure the outreach products utilize content developed through the regional effort and are tailored to the needs of the Commonwealth’s coastal communities. Compensation: College Graduate/Graduate student: Up to $19.00 per hour. Must be enrolled in a Degree seeking program. Ability to work 20 hours a week from June through December. Questions: Contact Tonna-Marie Rogers at tonna-marie.surgeon-rogers@state.ma.us or 508-457-0495 x110. Looking for an NSF-REU student to work on several laboratory projects at UC Santa Barbara for two months (July/August; exact dates negotiable) of 2017. A stipend will be provided for housing, food, and amenities. These projects will be focused on soil and litter samples imported from the Mpala Research Centre=92s Kenya Long-term Exclosure Experiment (KLEE), a 20-year herbivore experimental exclosure in Laikipia, Kenya; the projects themselves will enrich existing data sets being collected by several researchers both in the lab and in the field at the KLEE. -=09First: the student will learn to conduct and subsequently carry out microbial biomass extractions on soil samples from the KLEE; these soils came from a variety of soil =91types=92 within four experimental herbivore exclosures, each of which excludes a different combination of large-bodied native and domestic herbivores. The data from this project (extractable soil carbon, soil organic matter, and extractable soil microbial biomass) will join a dataset detailing the soils=92 potential microbial respiration rates, providing a rich combined dataset that will contribute to understanding why differences in soil microbial respiration occur in response to herbivore presence/absence on the landscape. -=09Second: the student will work with dried grass litter from the KLEE, which had been deployed in the field as a year-long litter decomposition experiment to explore the rate of carbon turnover in the field in response to herbivore presence/absence. These dried samples were deployed for between 1 and 12 months in 2015/2016, and have been stored in air-tight plastic bags at Mpala since. The student will grind, process and analyze the imported samples to determine their ratios of carbon to nitrogen, in order to illuminate the relative weight loss of each in response to herbivore treatment. The undergraduate student who receives this job must be interested in community ecology, ecosystems ecology (e.g. nutrient cycling), and learning new laboratory techniques. This student must be amenable to spending a lot of time in the lab, but there is also opportunity for several days of field work in the lower Sierras! This would take place with several Young lab graduate students in a local herbivore presence/absence experiment; this opportunity will give the REU student the chance to experience field work in an herbivore experiment first-hand and couple it with their experience working on samples from the KLEE; having the ability to experience both will round out the student=92s overall experience researching the impacts of experimental herbivore =91loss=92 and land-use change on ecosystem carbon dynamics. If interested, please send an updated resume and a 2-paragraph explanation of your interest in ecology and the project at hand, plus any relevant experience you may have had, to elizabeth.forbes@lifesci.ucsb.edu. Provide your contact information and your availability for the months requested. The REU student would be expected to find housing in Santa Barbara (with logistical aid from the graduate student advisor) and be able to commit to a period of 2 months of work on the project. The available time window for this project is July through August, with limited flexibility on dates for either end.